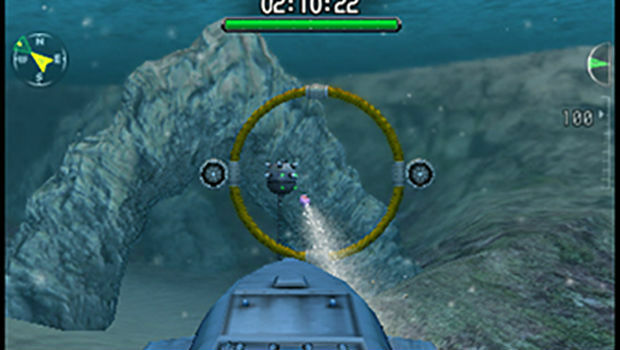 Steel Diver kind of came and went in 2011 on the 3DS. As a brand new IP for Nintendo it was a gamble, and one that seemingly didn't pay off with critics or fans. But they're back in 2014 with a free-to-play version titled Sub Wars, which is relatively new monetary venture for the tried-and-true gaming giant. While they've nailed the "free" part, I'm not sure Steel Diver was the right franchise for the job. Sub Wars is a fairly unremarkable game that doesn't really make any efforts to grab you, even from the start. Unlike the original, Sub Wars takes place in fully submerged 3D arenas, similar to a first person shooter. Subs can be controlled relatively easily by way of physical controls or the touch screen, but that doesn't mean they respond well to any input. To be blunt, things are slow -- sluggishly and sometimes painfully so. You can raise or lower your depth by way of a button press, steer just as easily, and launch homing or regular old torpedoes. That's really about it. When you give commands your sub will take a few seconds to respond, and even when you're cranking up the speed it still feels like you're slowly crawling along the sea at a snail's pace. Thankfully, the Circle Pad Pro is fully supported, and all of your opponents are moving just as slowly as you are. After a quick tutorial to teach you the ropes you can jump into single- or multiplayer, the former of which offers up a small number of missions with varying difficulty levels. Levels range from passive courses like going through a certain amount of rings, to destroying AI subs -- standard stuff, but it works. While they are compelling enough to play through once, they're a little too brief for their own good -- this philosophy spills over to the multiplayer aspect somewhat as well. Online play is strictly a four-versus-four affair, taking place in smaller arenas that ensure quick skirmishes. Everyone looks relatively the same outside of the blue and red team monikers, and in more ways than one, every fight feels the same. Since there isn't a whole lot of variety like a lot of other third-person shooters, you're basically doing the same two to three actions over and over. That's not to say the game isn't fun at times, and on occasion, you will have a fight or two that's worth the squeeze. In terms of how to do free-to-play right, Nintendo has things down pat. With the free version you can play two single-player missions, and unlimited online sessions with a limited choice of sub types. The "Premium version" for $9.99 will net you 18 unique subs with different stats (and more skins), and more solo missions. If you want, you can buy up to five extra "historical" subs for $1 each. 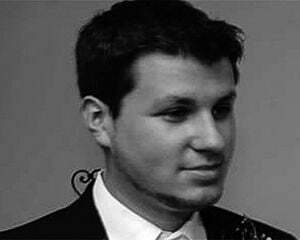 In short -- it's a simple, easy to understand, and completely fair way of doing free-to-play. Nintendo explains everything you get upfront, and you can play online without an energy system as much as you want without having to pay up. The historical subs feel tangential to the core experience of the game and so do the other premium subs for that matter, so it doesn't really feel like a "pay-to-win" game either. While it may not be exciting enough for some, it's tough to call Steel Diver unwelcoming. 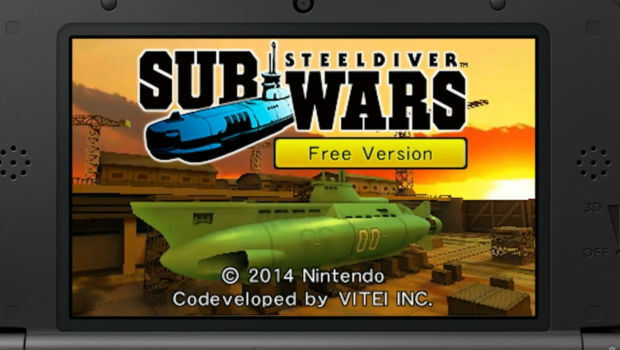 Nintendo made a good attempt to salvage Steel Diver with Sub Wars, but other than the solid implementation of free-to-play, it doesn't really do anything exciting. It's a decent effort from Nintendo for sure, but I'm just not sure if it's worth full price to slowly wade around in tiny, uneventful tanks with a limited amount of players. It's absolutely worth giving a try for free though.